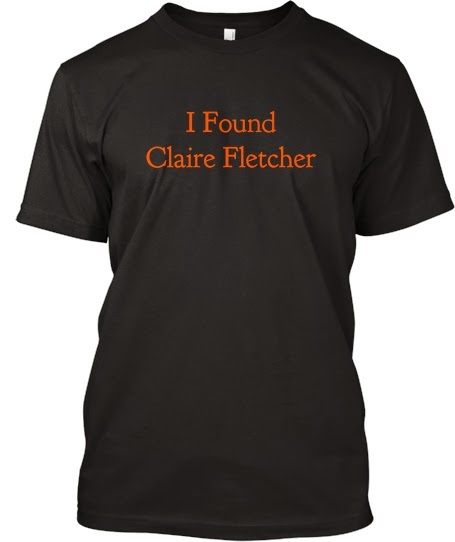 Yay for Re-Release Day & Last Call for Finding Claire Fletcher T-shirts! So tomorrow is the big day! VETERANS DAY! 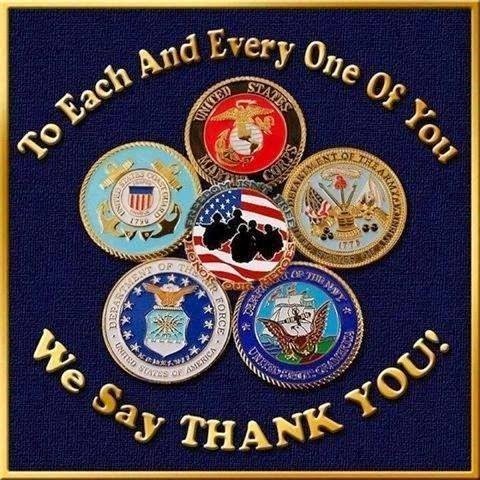 Yes, it really is and I hope that tomorrow you will say a prayer for all the servicemen and women who have sacrificed so much so that we can live in relative safety and have all sorts of freedoms, big and small. If you see a servicemember--any day of the year--walk up to them, shake their hand and thank them for their service. I do it all the time. I've done it at parades, just walking down the street, on the bus, in airports, in restaurants, in stores, in public restrooms (the ones for females of course! ), any place I have the privilege to run into someone in uniform, I do this. My daughter sees me do it so that she knows it is important. My grandfathers, my dad, my husband, many of my uncles, my brother, many of my family members, former coworkers and friends have proudly served this country and I am eternally grateful for their willingness to put themselves in harm's way, to give their lives if necessary to ensure the safety and freedom of the rest of us. It is really astounding if you think about it. Think about what they've signed up for, what they have agreed to do, what they have agreed to sacrifice if necessary. It will make your head spin. We are lucky and blessed to have such people in our midst. Tomorrow is also Re-Release Day! My third novel will be re-released by Thomas & Mercer tomorrow. I'm super-excited to see where this journey will take me next. 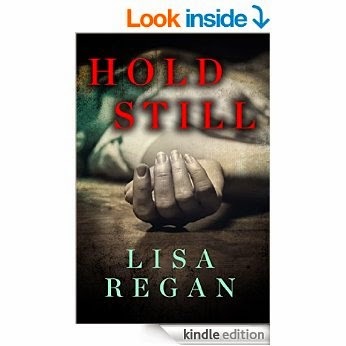 If you haven't read HOLD STILL yet, then get yourself a brand-spanking-new copy tomorrow! Finally, you have one day left to get a Finding Claire Fletcher T-shirt. As you may or may not know, I'm holding a fundraiser for Operation Underground Railroad which is a non-profit organization that uses cutting-edge technology to track down child pornographers and human traffickers. They assist law enforcement all over the world in stopping these monsters. All profits from the sale of these FCF T-shirts will go to O.U.R. You can check out their website here. I have actually already met my goal but you can still purchase T-shirts until November 12th. The more shirts I sell, the more money O.U.R. gets! The T-shirts WILL NOT BE AVAILABLE AFTER NOVEMBER 12th. I will not have any. There will not be extra. So if you're interested, please order them from Teespring now. Finally, I want to say a great big THANK YOU SO MUCH to everyone who already ordered T-shirts! You guys are the best! I deeply appreciate you supporting me and this cause, which is extremely, extremely important to me. THANK YOU, THANK YOU, THANK YOU! Also, BROKEN EMBRACE by Dana Mason is on sale for only 99 for ONE MORE DAY! It is a Kindle Countdown deal and it ends soon! I love this whole series and you can read them in any order so treat yourself and get this one on sale now! And oh, right, I was going to check in a month after my So Many Things post to let you know of my progress with COLD-BLOODED after plotting it all out. The news is that there is no news. October was ridiculous and in a way, I suspect plotting the whole book out took a lot of the fun and excitement out of it for me. But mostly, it was simply a time issue. So I'm resetting the clock now on November 11th. Let's see if I can find the time to write the first draft of this book before December 11th! My father is a Vietnam vet, and I have the utmost respect for anyone who has defended our country. Happy re-release day! I've got my Claire tee ordered! Our Vets are awesome. So many in my family are vets, so I understand the sacrifice. Here's cheers for a successful re-release! I already ordered a t-shirt. I hope you get enough to make the quota.